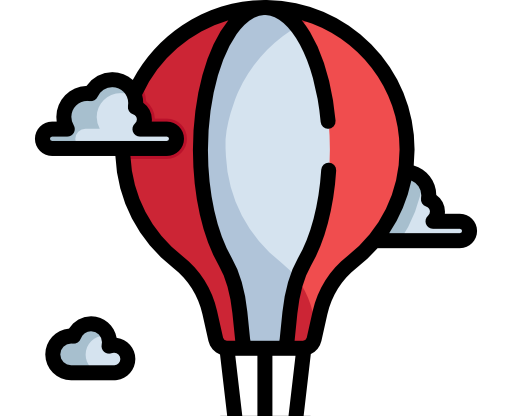 – Eden Balloon picks you up at the meeting point and drives you to the take-off site. The team welcomes you and then explains the program of the activity. – It takes 30 minutes to inflate the balloon and another 30 minutes to fold it. Each flight lasts about 1 hour. You should plan approximatively 4 hours to complete the activity, including the round-trip to the take-off site. You can participate in the inflation and the display of the aerostat. All you need to do is strictly observing the safety rules explained by the pilot. – It only takes a few seconds to find yourself a couple of meters above the ground. You will fly gently in the air without feeling the hot air balloon moving or vertigo. Just imagine yourself floating in the air, sailing in the sky while discovering the magnificent landscape of the Yonne region. – After the evening flight, you are invited for a glass of champagne. – You can enjoy a coffee break after your morning flight. In order to follow the traditions, a certificate is given to each passenger. An all-terrain vehicle will then take you back to the take-off site.